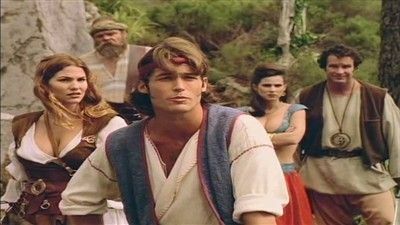 Here's where to watch every episode of The Adventures of Sinbad season 1. Mouseover or tap an episode to see where to stream it. Click or tap the play icon to stream it on the best available service. Return of Sinbad (1) Sep 28, 1996 Sinbad returns to Bagdad after two long years at sea. 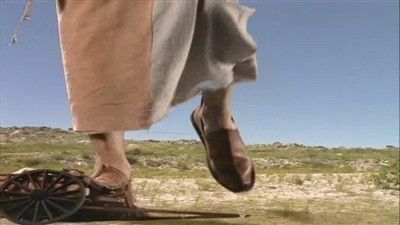 He discovers that things are not as he left them. The city is now in the hands of an incompetent Prince and his devious grand vizier. 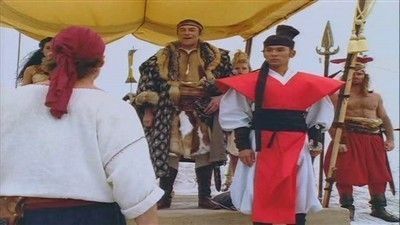 Return of Sinbad (2) Oct 5, 1996 Sinbad sets out with a new crew to save a kidnapped princess from and evil sorcerer and his daughter. Along the way, Sinbad and his crew battle a raging sea monster and a traitor. The Beast Within Oct 12, 1996 A sorceress captures Sinbad, who refuses her love, then he must fight to the death the man-beast Goz. Still Life Oct 19, 1996 The crew runs aground on a mysterious island, where a sculptor, Vincenzo, wants to immortalize Maeve in marble. 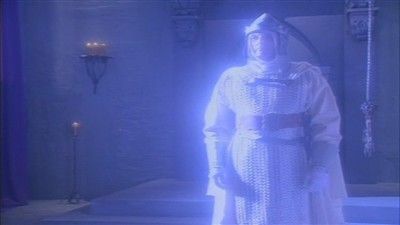 The Ronin Oct 26, 1996 Sinbad is chosen to champion the island kingdom of Baronia. He must battle several adversaries, including a reluctant Samurai. Little Miss Magic Nov 2, 1996 After the Nomad suffers damage in a storm the crew is forced to stop in the City of Mists. 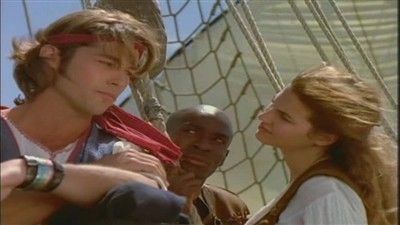 Sindbad wins the 'Jewel of the City' in a card game, only to discover that the 'Jewel' is Serendib, a 15 year old girl with magical powers. King Firouz Nov 9, 1996 Firouz builds a new invention he calls the Ruby Beamer. When the crew goes ashore to apologize for damage it caused, Firouz is acclaimed as the people's savior. 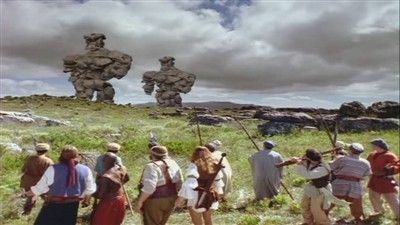 The Ties That Bind Nov 16, 1996 While out for a walk, Maeve is kidnaapped by norseman who believe she has ben sent by the god Thor as a sacrifice to the Gulien Demon. 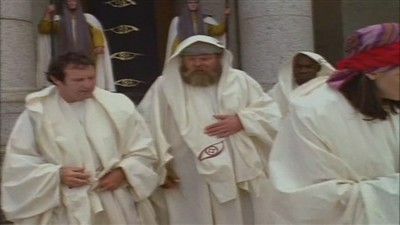 Double Trouble Nov 23, 1996 The crew is after and Egyptian obelisk that gives power to whoever possesses it. Rumina disguises herself as Sinbad in order to start a war. Conundrum Nov 30, 1996 Rongar is sold to the Dark Lord Scrath. They are given the opportunity to rescue him by completeing a task set for them. 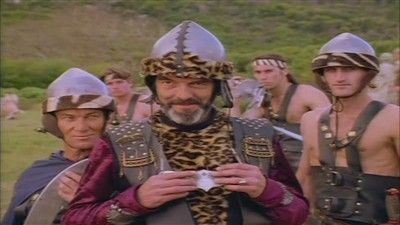 Sinbad and his crew race to find skulls that represent the four elements. 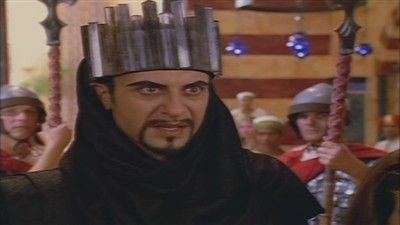 The Prince Who Wasn't Dec 21, 1996 A prince enlists Sinbad to help him rid haunted Arborea of an evil usurper. The Village Vanishes Dec 28, 1996 The monster Vorgon drains the life force from a village, then picks a man for its host; now it wants Sinbad. 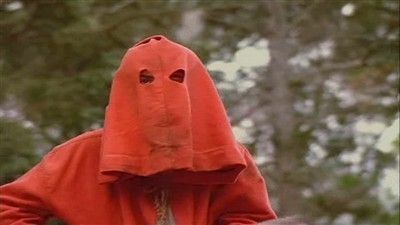 Masked Marauders Feb 1, 1997 Sinbad and his crew are challenged by Carpet-riding thieves in Mirhago. The Ghoul's Tale Feb 8, 1997 When the necklace that protects Princess Gaia of Leopold is stolen by Vatex, the crew, with the help of Suraya, try to get it back. 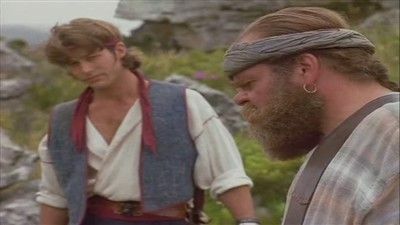 The Rescue Feb 15, 1997 A rich merchant asks Sinbad to help rescue his missing wife. 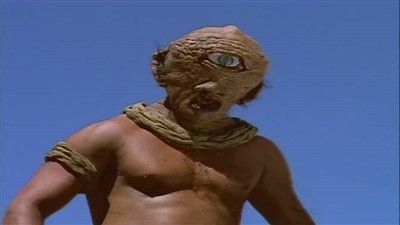 The Eyes of Kratos Feb 22, 1997 Talia, pirate acquaintance from Sinbad's past, is attempting to rescue a sacred stone from of a cult that is worshipping it. Maeve is suspisious of Talia's motives. The Bully Feb 2, 1997 The crew battle a cyclopse as well as a demon from Sinbad's past. 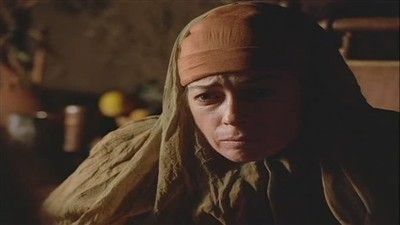 Monument Apr 27, 1997 A young woman asks Sinbad for help getting back to her home. When they get there, they discover that he father has turned himself into a giant. 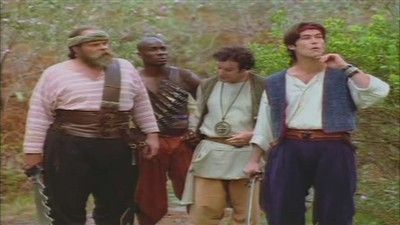 Trickster May 3, 1997 Rumina follows the crew to the Old One's Island where they all become trapped. In order to escape, they must work together against the Trickster who is using their fears against them. The Siren's Song May 9, 1997 Three cursed sailors come aboard the Nomad. 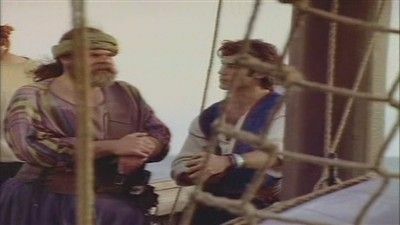 Sinbad and his crew are held hostage by a madman seeking Poseidon's trident. Isle of Bliss May 18, 1997 The of the Nomad journey to the Isle of Bliss in order to find the singing sword so that they can use it to get Master Dim Dim back. 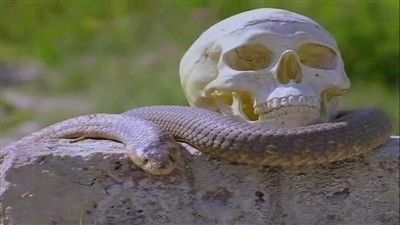 Things go horribly wrong when they encounter a giant snake and the crew must fight for the life of Doubar. The Vengeance of Rumina May 25, 1997 Scratch and Rumina join forces to raise her father, Turock, from the dead. In return for his help, Rumina agrees to help Scratch steal the souls of Sinbad and the Nomad's crew.